Sunday Worship Services 8:45 a.m.- Worship, traditional hymns, led by Chancel Choir. Chancel Choir — Sunday worship and additional inspiration music during Advent, Christmas and Easter seasons. Contact Roger Woods, Music Director 797-4416. If you wish to volunteer with children/youth at St. Augustine Shores United Methodist Church you will need to read our Child/Youth Protection Policy and watch a short video. Click here to visit our Child/Youth Protection page. You will need to contact the church office at 904-797-4416 to set up an interview with the Staff Parish Relations Committee to begin the Screening Process. 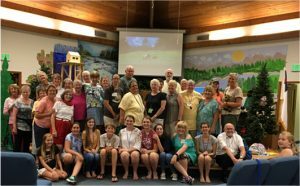 You must attend Shores UMC at least six months before the Screening Process can begin. Volunteering is one of the many ways to live our Christian Faith. 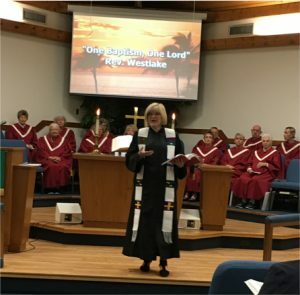 Here are some of the opportunities you can put your faith into action as part of the Shores UMC Family: Media Team (computer, graphics, sound & lighting), Ushering and ‘Welcome Team’, Hospitality Team (including Sunday Coffee Bar, events, baking, cooking, etc. ), Worship Arts (including singing, playing instruments, dancing, acting, skit-writing, illustrating, Choir, Praise Team), Photography, writing, Grant Writing, Gardening, Landscaping, Grounds Keeping, Teaching (all levels), Outreach Events, Evangelism, Working with Team at the St. John’s Ecumenical Food Pantry, Working with our C.A.R.E. 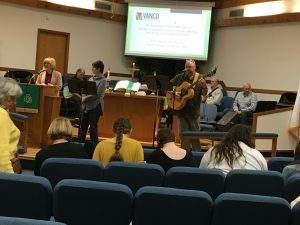 Ministry Team (visiting, calling, helping, card-writing) and Mission Work. “Where there is no vision, the people perish . . .” Proverbs 29: 18a. The Bible’s direction is clear: we need to have a dream, a vision, a picture, a direction from God or we perish in the chaos! Our Vision—New life with God; deepening our Christian discipleship. We also need a goal; something to aim at; a focus for our God-given gifts and energy. In short, a mission that calls to us. Our mission–sharing God’s joy by serving the community, each other and God. 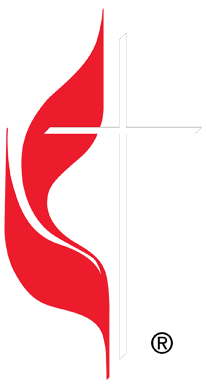 10:00 a.m. Sunday School – All ages welcome.Most classes meet in the Christian Education Building. Nursery and pre-school meet in the main building.